If you loved everything about the Galaxy S6 Edge, but wished it had a larger screen and offered better battery life, the Samsung Galaxy S6 Edge+ is the answer. Samsung’s first venture into the curved edge display game began with the Galaxy Note Edge, but it wasn’t until earlier this year that Samsung would truly perfect the concept by introducing a dual-edge design to the Galaxy S family. The Samsung Galaxy S6 Edge is easily one of the most eye-catching and uniquely designed smartphones we’ve seen from Samsung in a while, and now Samsung has taken a page from some of its competitors’ playbooks, giving the handset the “Plus treatment”. 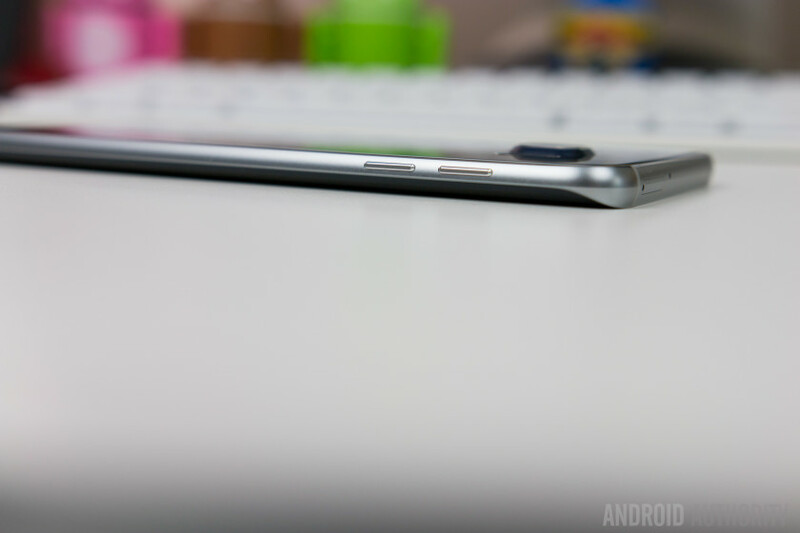 Does the plus-sized S6 Edge bring more to the table than the original? 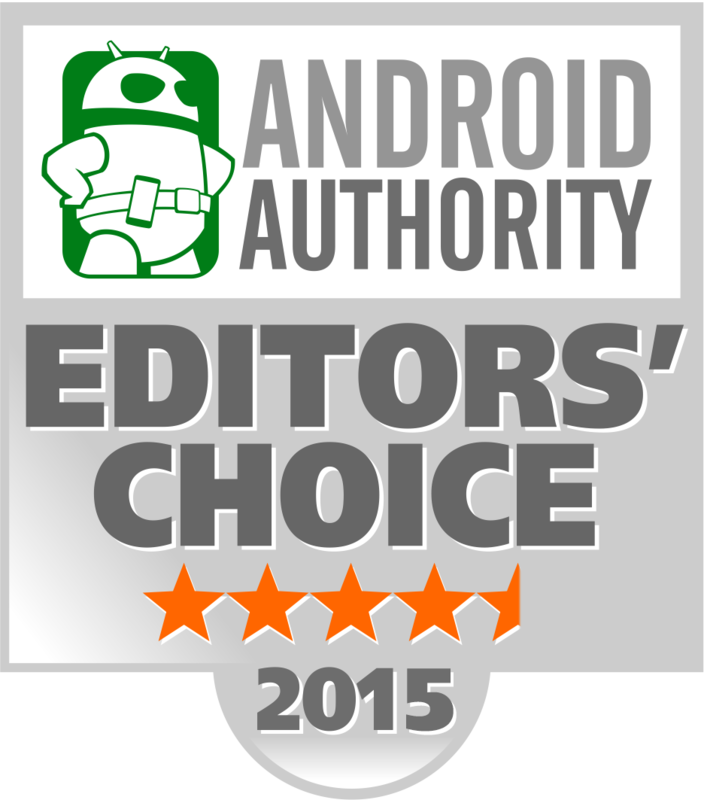 We find out this and more in our comprehensive review of the Samsung Galaxy S6 Edge+! By now, we have a fair idea of what to expect whenever the “plus” suffix is tacked on at the end of a smartphone that already exists, with it usually involving a significantly larger display and the resulting bigger footprint, and in some cases, a bump in specifications and features. That remains true for the Galaxy S6 Edge+. The device features the same beautiful design as its smaller sibling, including the metal frame, glass panels up front and on the back, and the sloping, curved sides on the display that give the phone its name. On the right side of the phone is the very conveniently-placed and easy to reach power button, but that isn’t the case with the volume rocker, which are towards the top of the left side, making it quite awkward to reach. There is no longer an IR blaster to be found, so up top is only the microphone and the SIM card slot, while at the bottom are the headphone jack, microUSB port, a single speaker unit, and a secondary microphone. For those who felt the regular Galaxy S6 Edge to be quite sharp in the hand, that feeling alleviated with the Galaxy S6 Edge+, thanks to the side rails being slightly thicker, and the chamfered edges not being as prominent as before. On the flip side, the bigger footprint also means that one-handed usage, while manageable, isn’t as comfortable anymore. Not helping the handling experience is the fact that the phone can be pretty slippery, and the device is also quite the fingerprint magnet, which is very noticeable if you have any of the darker color options. Of course, the device still looks fantastic though, and basically, if you loved the design of the Galaxy S6 Edge, you won’t find anything to complain about this time around either. The Galaxy S6 Edge+ features a 5.7-inch Super AMOLED display with a Quad HD resolution, resulting in a pixel density of 518 ppi. Samsung somehow always manages to outdo themselves every year when it comes to display tech, and so it is no surprise that this display is absolutely fantastic. Everything we love about AMOLED screens returns here, including vibrant, saturated colors, great viewing angles, inky dark blacks, and good brightness for easy outdoor visibility. The bump in display size to 5.7-inches, compared to the 5.1-inch screen of its flagship namesake, means that this display is perfect for gaming, watching movies, and pretty much anything else you may want to do. Because of the dual curved edges the content you are looking at to also be curved and creates a very cool looking effect, especially when swiping between screens. There have been claims of things looking distorted because of the edges, but that certainly wasn’t the case for me, and I am personally a big fan of the waterfall effect that the curved glass created. Under the hood, the Samsung Galaxy S6 Edge+ packs the same octa-core Exynos 7420 processor as the original, clocked at 2.1 GHz, and backed by the Mali-T760MP8 GPU, but with an additional gig of RAM, for 4 GB in total. As was the case with the current Galaxy S flagships, the Galaxy S6 Edge+ is extremely fast in day to day use, and everything from general navigation and web browsing, to multi-tasking and gaming, are a breeze. The availability of an additional gig of RAM seems to have allowed Samsung to scale back on the aggressive RAM management issues that plagued the Galaxy S6 and Galaxy S6 Edge, with it being possible to load and run a lot more applications simultaneously, before running into any unwanted app refreshes. Some of the credit for the general improvement in performance with Samsung devices this year has to do with the toning down and optimization of the software, but while the experience has been smooth and snappy for the most part, Samsung still hasn’t figured out a fix for the scrolling stutters that occur when moving in between the Flipboard secondary screen and the main home screen. It is far from a deal breaker of course, and is a rather small blemish in the grand scheme of things, but is still very noticeable. On the hardware front, you get the usual bells and whistles that are now the standard with Samsung flagships, such as the heart rate monitor on the back, and the fingerprint scanner that is integrated into the tactile home button up front. The fingerprint scanner is still just as fast, reliable, and accurate as it was on the Galaxy S6 and Galaxy S6 edge, with just a simple press and hold of the home button required to unlock the device, and its usefulness as a security measure is only going to be enhanced with the upcoming launch of Samsung Pay. Multiple fingerprints can be stored at a time, and the process of setting it up is simple and takes only a minute or two, involving just repeated presses of the home button. The fingerprint software is easy to use, and a minor improvement has been made to allow you to find out which fingerprints have been registered, just in case you ever forget. The Galaxy S6 Edge+ comes with either 32 GB or 64 GB of built-in storage, and with there still not being any microSD card slot, power users will have to depend on the larger storage option to meet their needs. Samsung also opted to leave out a 128 GB iteration, so 64 GB is going to be as good as it gets. As far as the speaker quality is concerned, it is fairly standard, and certainly gets the job done. The bottom-facing single speaker unit sounds good and gets loud enough to be heard even in noisy environments. Being at the bottom is still not the most optimal position, but it is definitely a better implementation than any rear-facing setup out there. One of the biggest issues with the original Galaxy S6 Edge and the Galaxy S6 was with regards to battery life, and it was quite difficult to get a full day of use out of these two smartphones. That problem seems to have been fixed with the Galaxy S6 Edge+, however. Even though its 3,000 mAh battery may seem a little small given the large Quad HD display it has to power, I’ve had no problems whatsoever getting through a full day. If you do end up running out of juice, the Galaxy S6 Edge+ not only comes with fast wired charging capabilities, but also introduces fast wireless charging as well. This only works with Samsung’s wireless charger, but Samsung claims that you can now charge the phone wirelessly in 2 hours, which is 33% faster than normal. The camera on the Galaxy S6 Edge+ remains largely the same as what was available with the Galaxy S6 Edge, with its 16 MP sensor with a f/1.9 aperture and optical image stabilization, along with a 5 MP front-facing unit also with a f/1.9 aperture, that allows for some great looking selfies even in low light conditions. Also returning is the double tap of the home button feature that lets you quickly launch the camera and take a shot. The camera app is where you will notice the biggest change in the camera experience. There are still many of the same modes as before, including selective focus, panorama, and virtual shot, along with the typical auto and manual modes, but Samsung has now added the ability to create video collages that allow you to stitch four 6 second clips together into one video, for those who really want to get creative. Another notable addition is the live broadcast button, which links directly to your Youtube account to allow you to share moments right as they happen with your followers, similar to what is possible with something like Periscope. Samsung also made a pretty big deal about the improvements to the video side of things. They’ve added what they call VDIS, or video digital image stabilization, that works in conjunction with OIS for more stable footage. In my experience, the video recording is very stable and smooth, without any sort of warping or distortion, so it seems to be doing its job well. As far as the picture quality is concerned, the Galaxy S6 Edge+ takes excellent looking shots, which is not really surprising, given Samsung’s track record with their smartphone cameras. In daylight, photos are sharp and full of detail, with great contrast and dynamic range, and very vibrant and saturated colors. HDR works very well to bring out some extra detail, especially in high contrast scenarios, and if you don’t want to fumble around with HDR, you can always set it to Auto and let the camera decide for you. The f/1.9 aperture not only helps to produce some great looking depth of field, but also makes for some very good low light shots. The image retains the same vibrant colors, with some noise noticeable in only extremely low light conditions. It honestly doesn’t matter whether you’re in daylight, lowlight, indoors, or outdoors, this is a camera that anyone can take out of their pocket and start taking great-looking photos. On the software side of things, the Galaxy S6 Edge+ is running Android 5.1.1 Lollipop, with the latest iteration of Samsung’s TouchWiz on top. It is a much cleaner interface with a lot less bloatware, that makes for a much snappier experience. It is still a very brightly-colored interface though, but you now have the option to easily and completely change the look to something that better suits your tastes via the available theme store. All the typical staple Samsung features are available here, including split screen multi-tasking via multi-window, and various motion-based gestures, but the difference here is with regards to the edge specific features, which Samsung has made a few improvements to from the Galaxy S6 Edge. People Edge, night clock, edge lighting, and information stream return, but there is a new Apps Edge that lets you hand pick several of your favorite applications for easier access. The People and Apps Edge features can now also be accessed from anywhere on the phone and not just the home screen, and the pull tab can be relocated to anywhere along the left or right edge, to make it easier and more comfortable to reach. All of these changes are very welcome additions, but the edge features still don’t feel extremely useful, and don’t add a whole lot of value to the edge design either. The Galaxy S6 Edge+ is available now from all major US carriers, priced at $299.99, with a two-year contractual commitment, for the 32 GB version, with the 64 GB option setting you back an additional $100. Off-contract, the device can be found for an expensive $815 and $915 respectively. So there you have it for this in-depth look at the Samsung Galaxy S6 Edge+! As was the case with its smaller sibling, you will have to decide whether the dual curved edges is worth the premium that is required when compared to other flagships. If you loved everything about the Galaxy S6 Edge, but wished it has a larger screen and expected better battery life, the Galaxy S6 Edge+ is the answer. The value here is in the beautiful hardware, but not so much in the software, and if you are perfectly alright with that, then the Galaxy S6 Edge+ will definitely be worth your hard earned money.